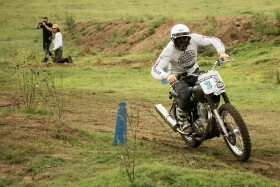 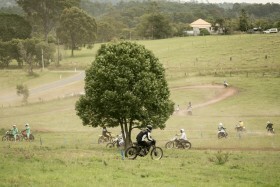 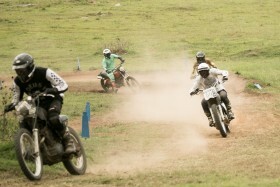 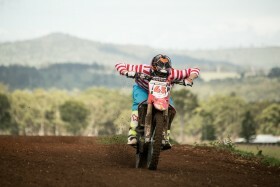 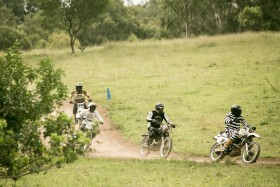 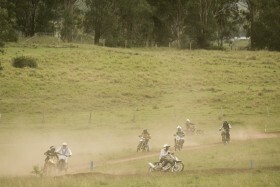 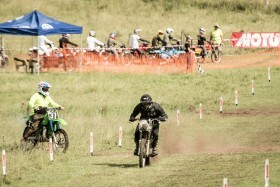 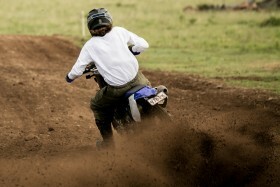 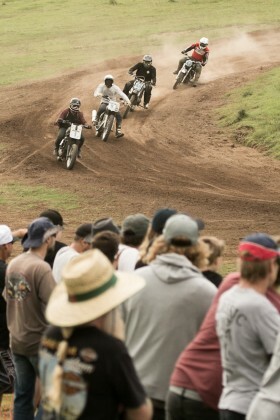 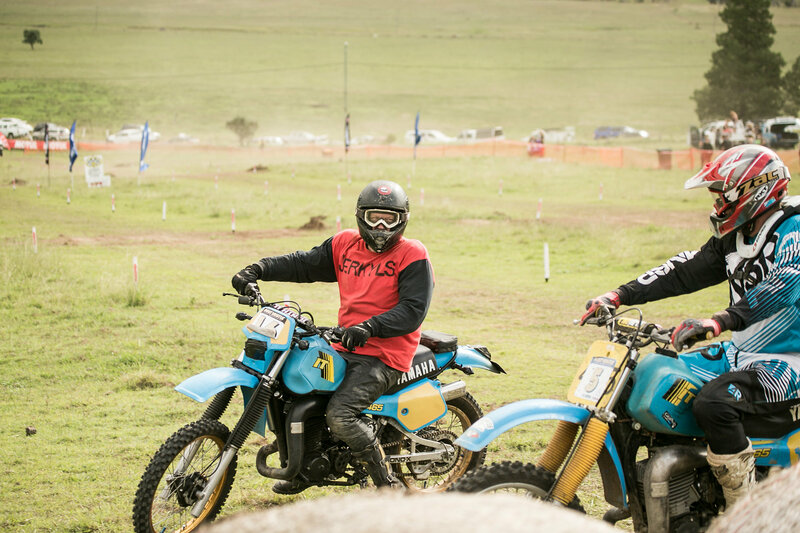 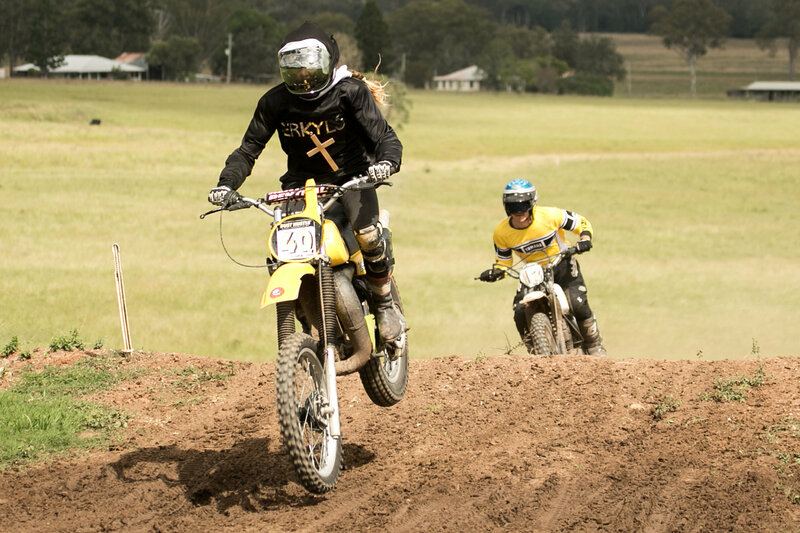 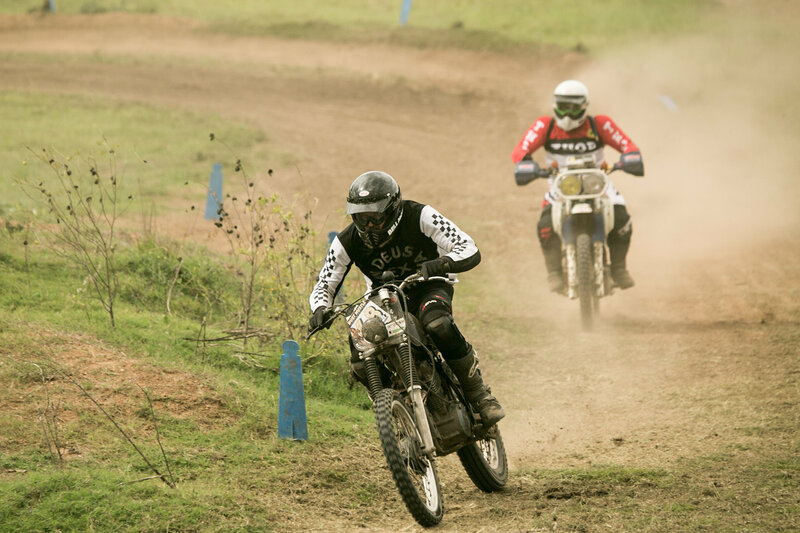 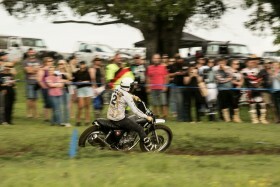 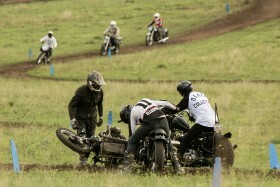 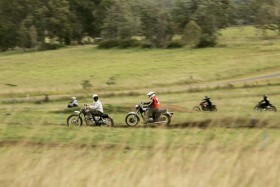 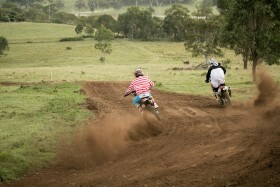 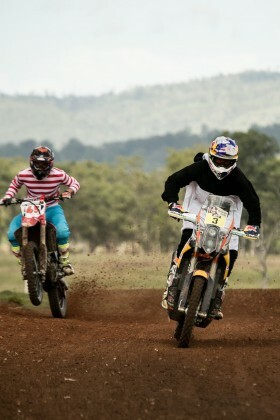 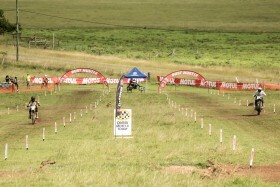 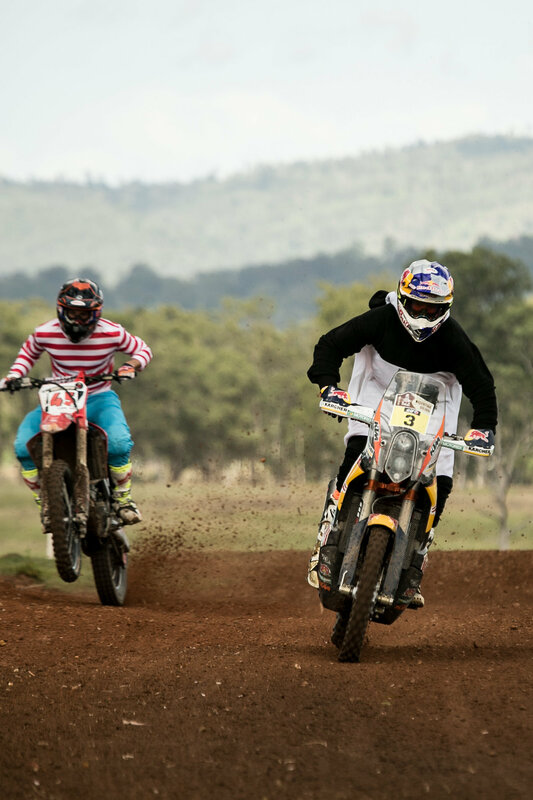 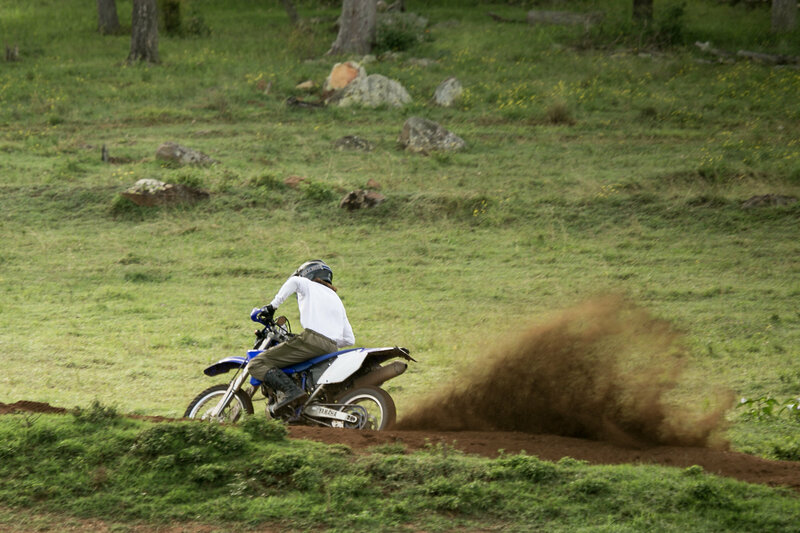 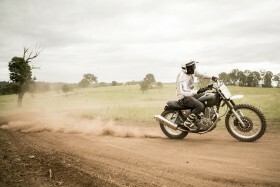 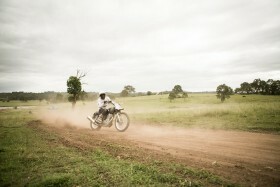 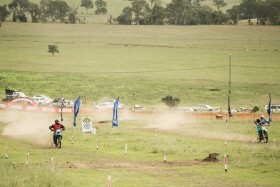 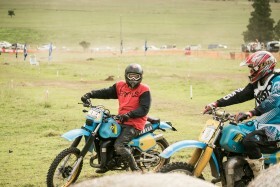 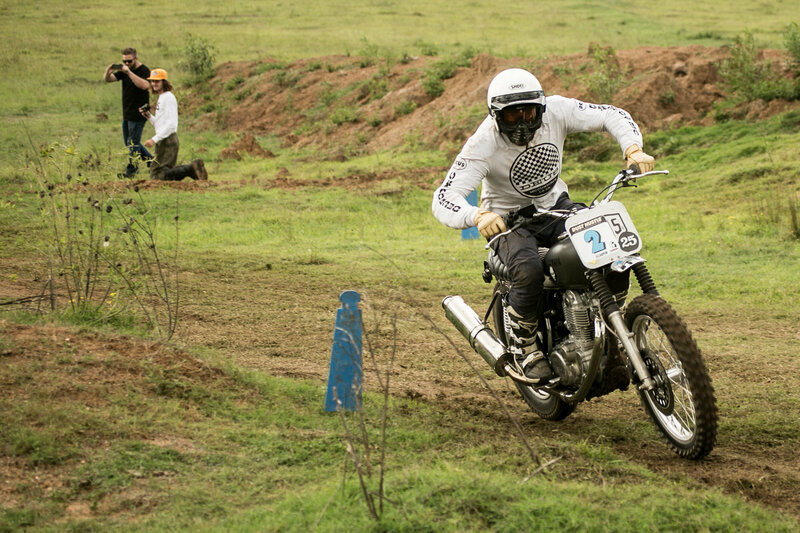 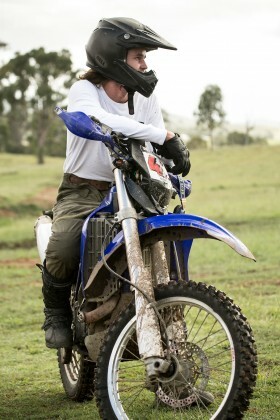 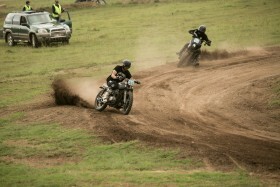 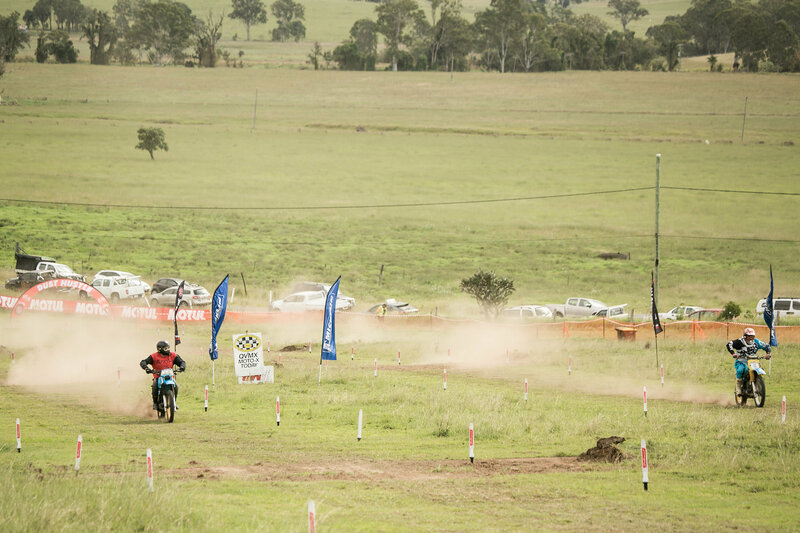 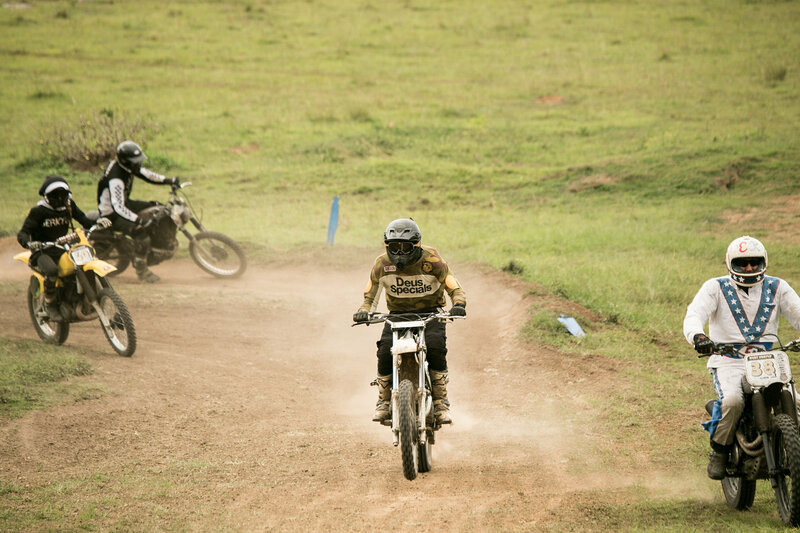 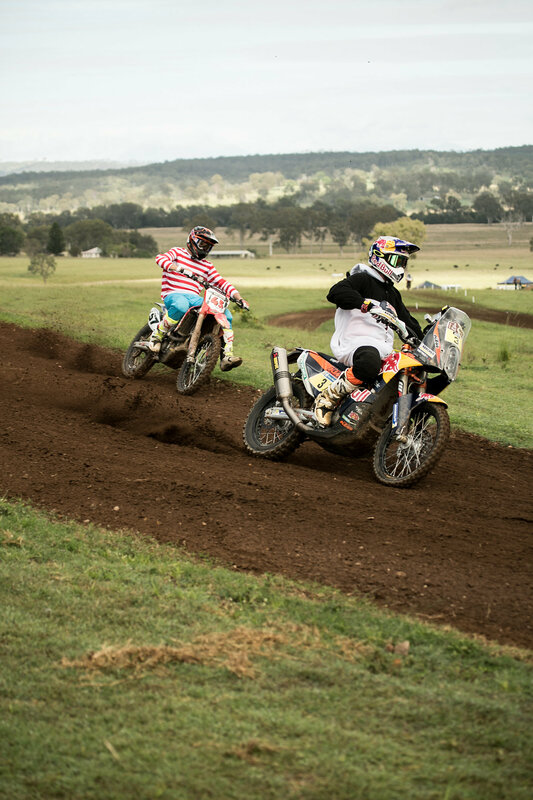 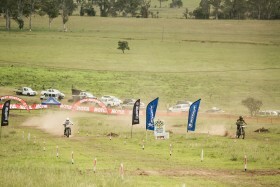 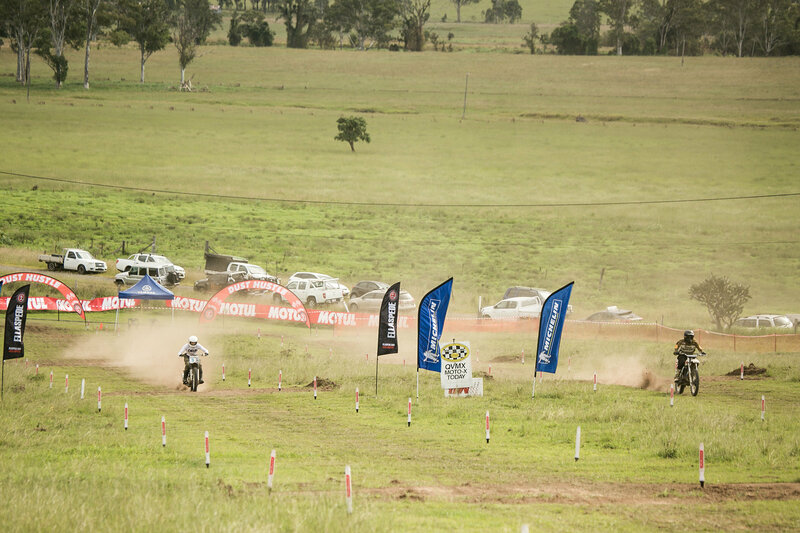 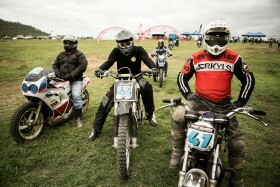 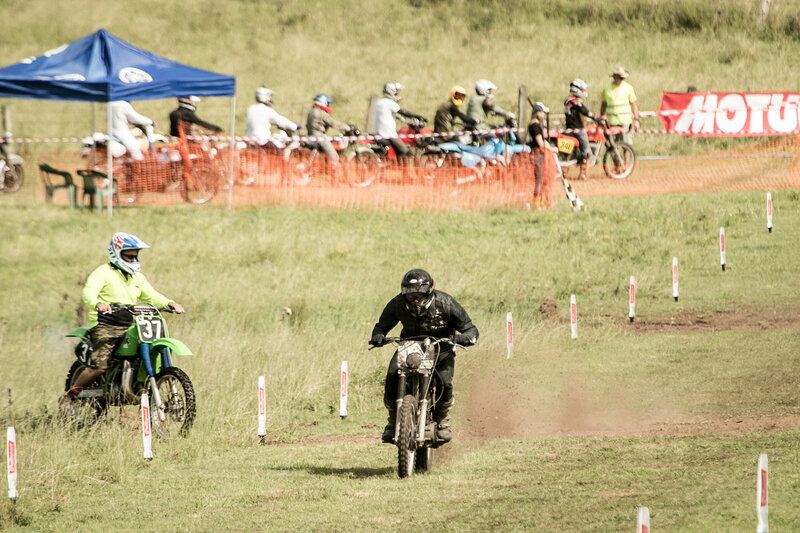 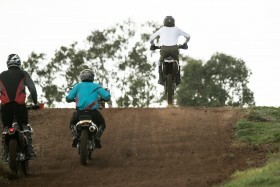 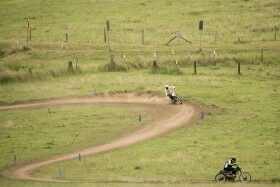 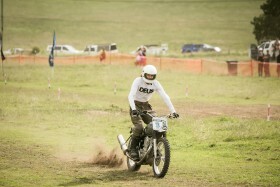 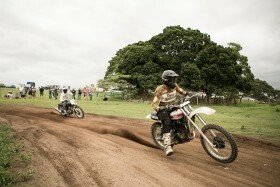 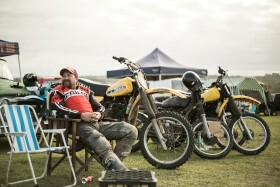 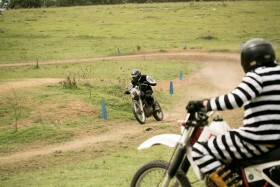 Dust Hustle a three-track amateur motorbike event with four categories for everyone to enjoy! 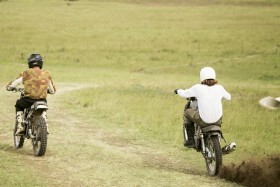 Ok well, WHERE THE F#@K do we sign up? 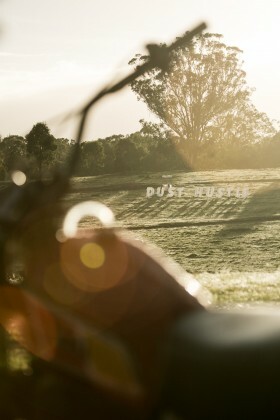 These are the exact words that came from the Deus workshop when the boys got wind of ‘DUST HUSTLE’. Not that the term hadn’t been talked about amongst the Deus crew before, it’s actually the fourth time the event has been put together. It was the fact that logistically for the first time they could break up the 20hr round journey to Biddaddaba QLD by including Deus Byron. 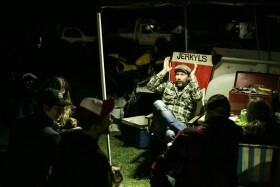 Ultimately splitting that 20hr drive into a more justifiable round trip. 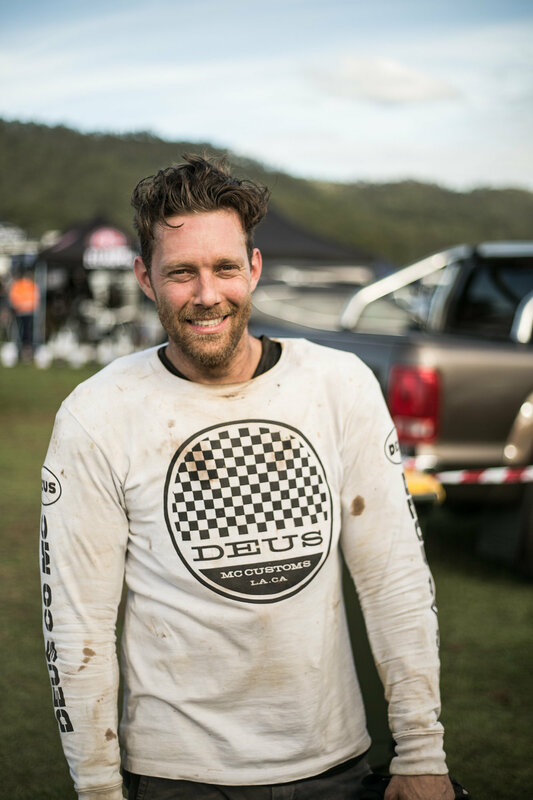 After setting up camp on the first night, the Deus boys were holding their tongues with the anticipation of cutting loose the following day. 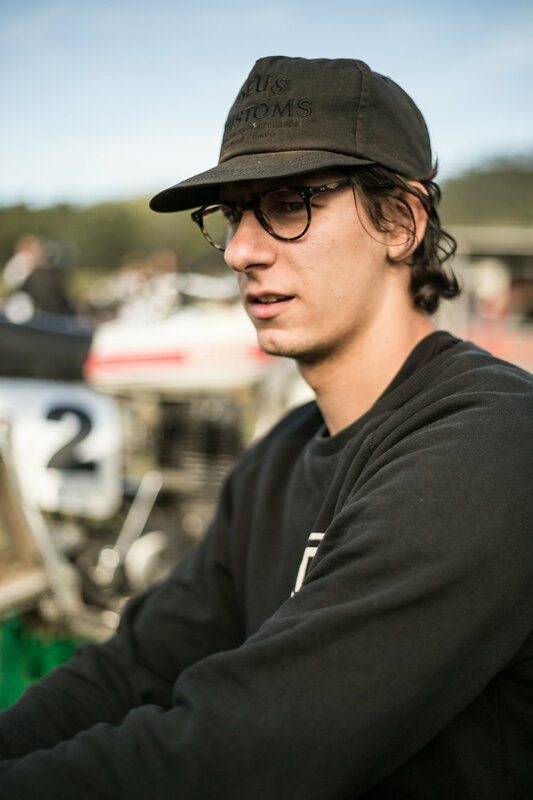 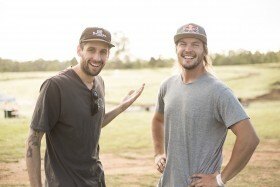 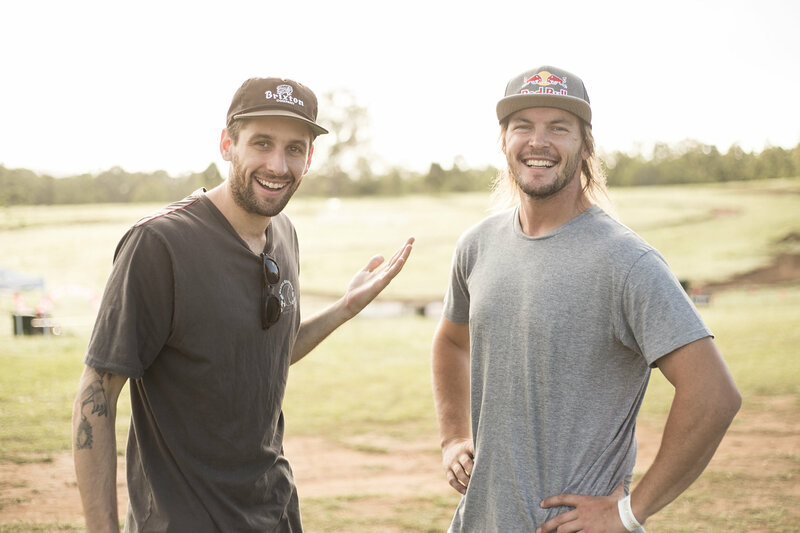 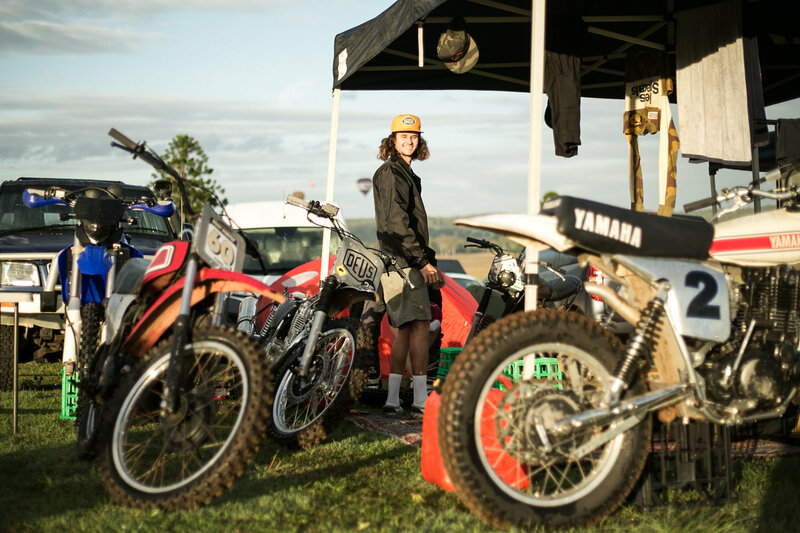 A few hours into the night our beloved Deus ambassador, Zye Norris told the crew that Toby Price was going to pay Dust Hustle a visit the following day. 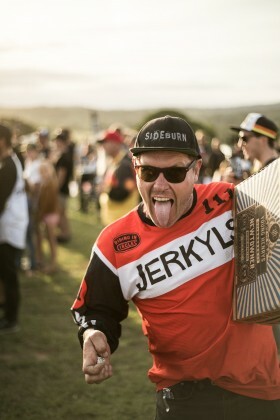 This amplified the level of hype around the fire and it wasn’t long before everyone swigged their remaining @coronoa_au and split in different directions to their swags to get some shuteye. 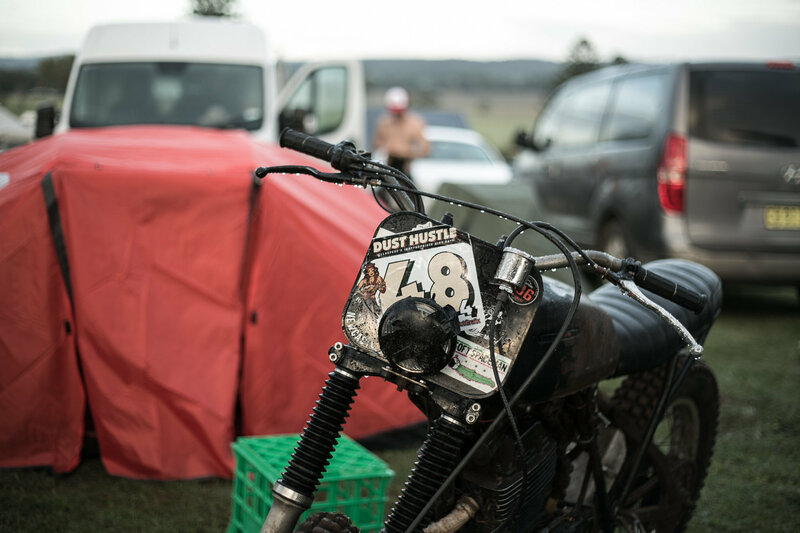 A light rain pampered the swags at night and everyone awoke to the most pristine riding conditions you could possibly ask for! 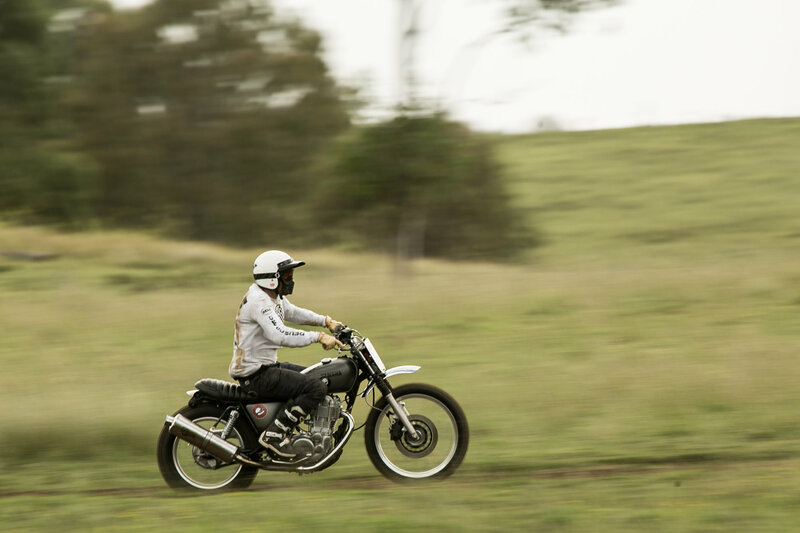 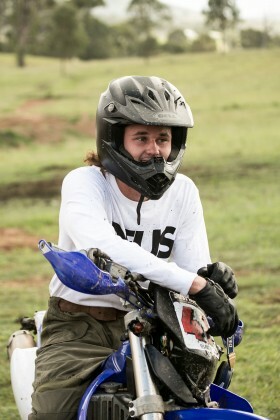 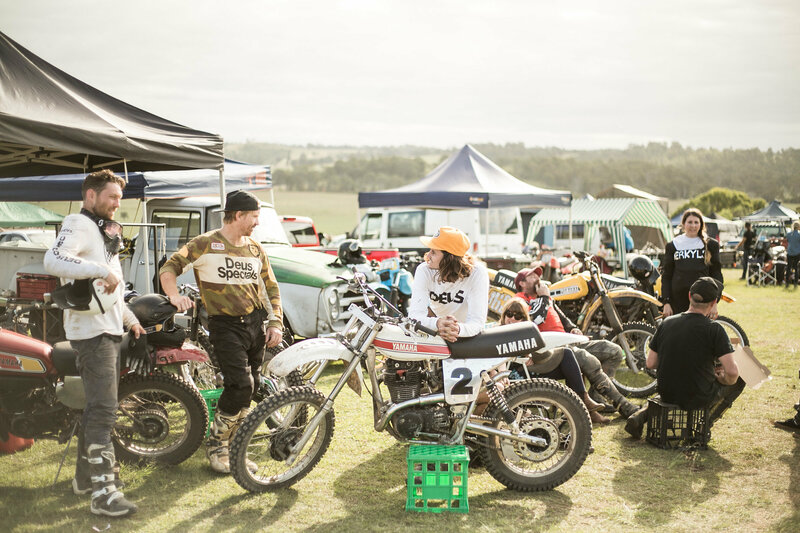 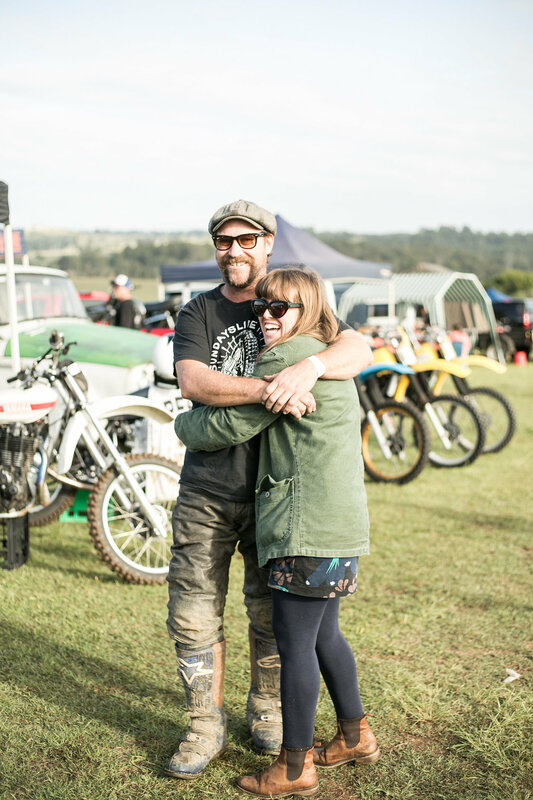 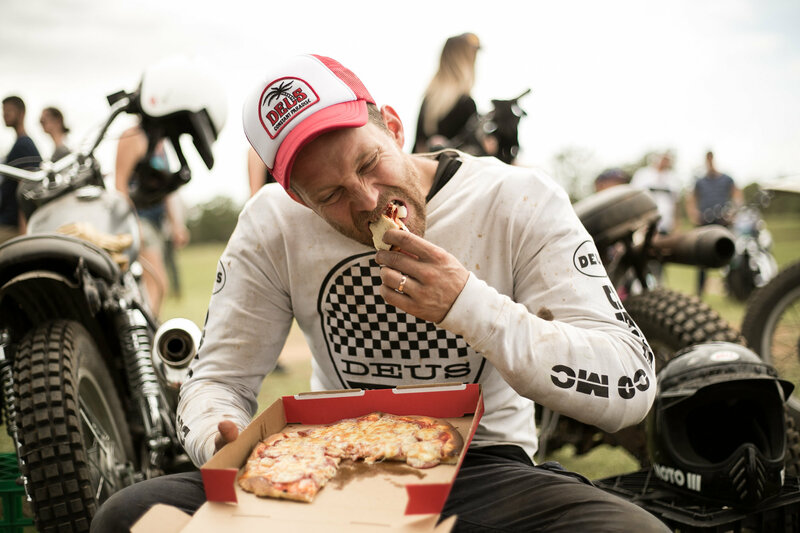 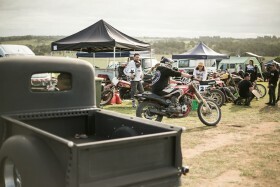 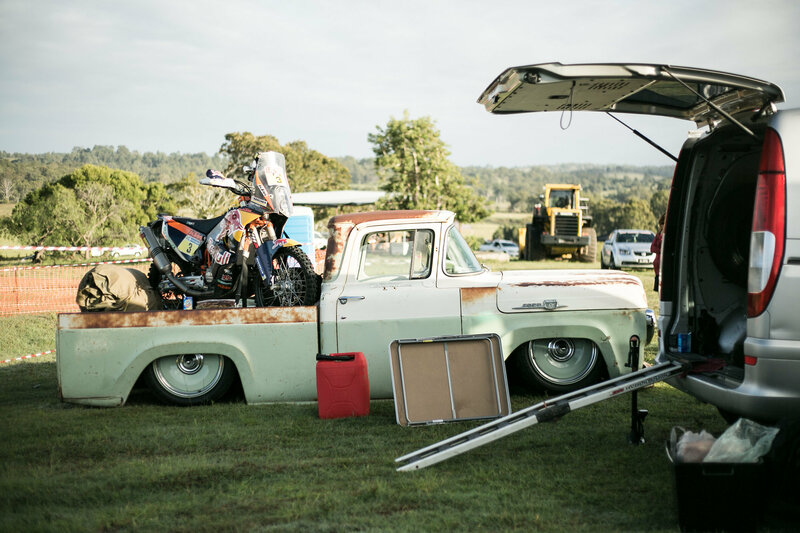 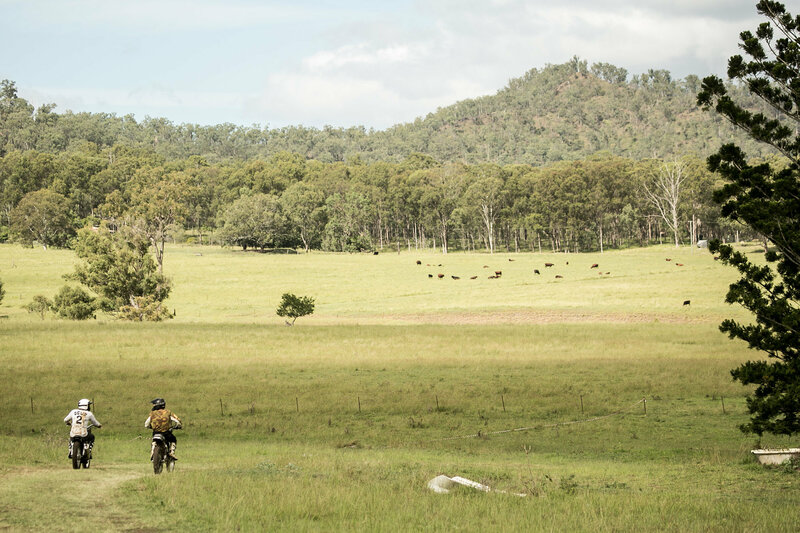 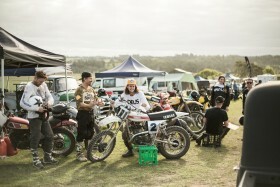 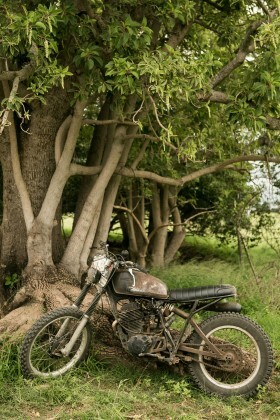 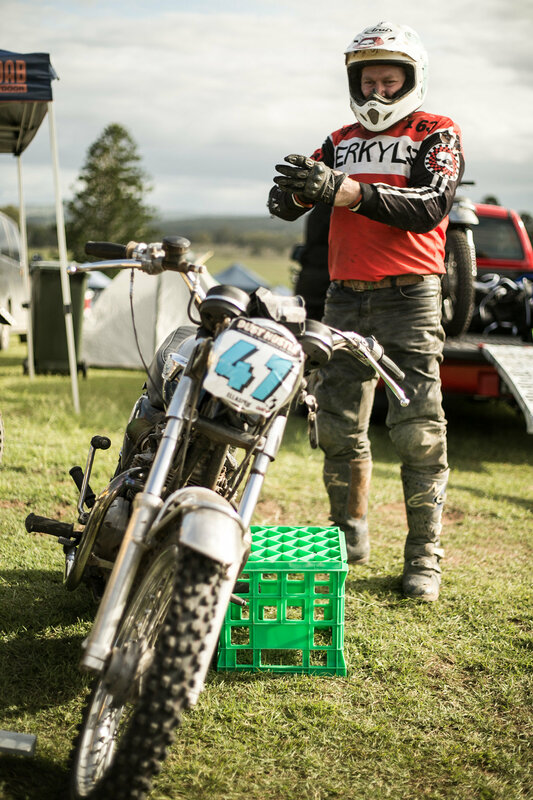 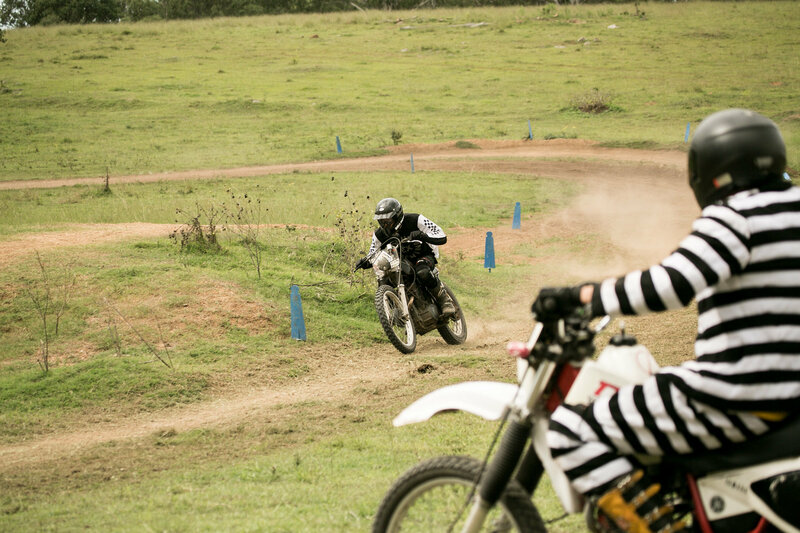 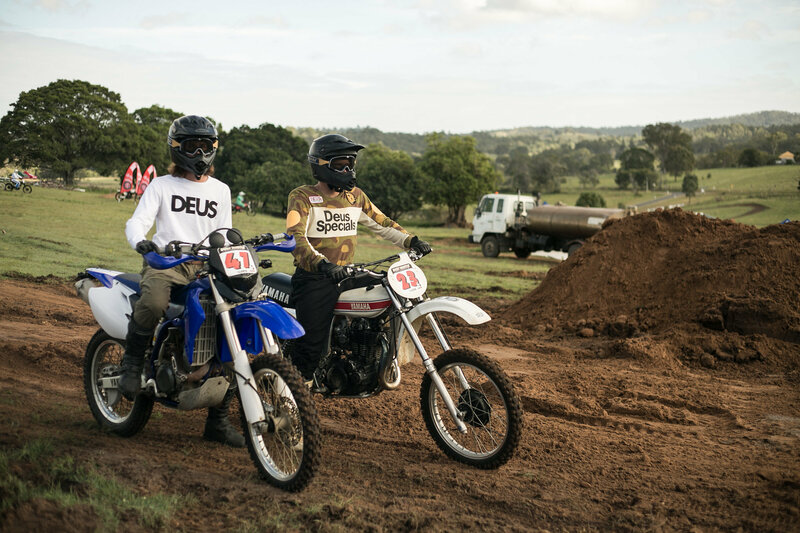 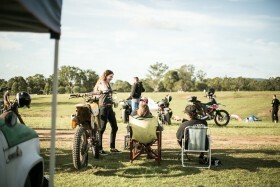 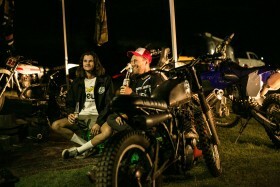 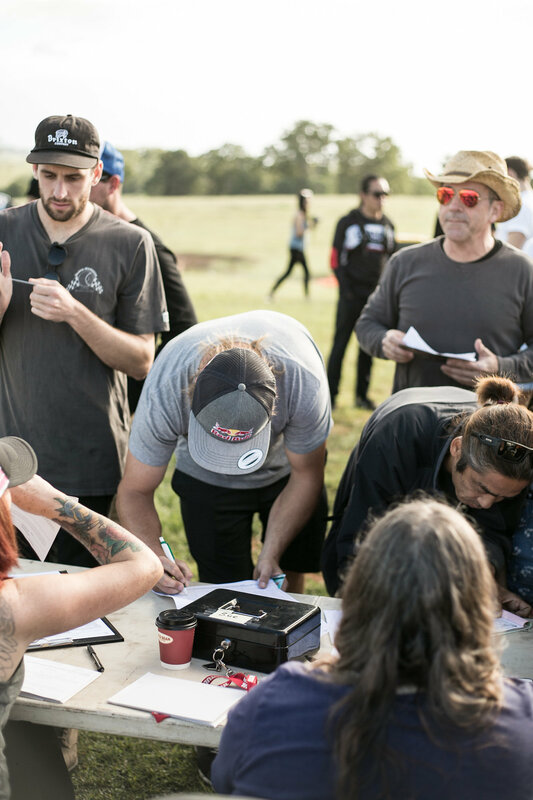 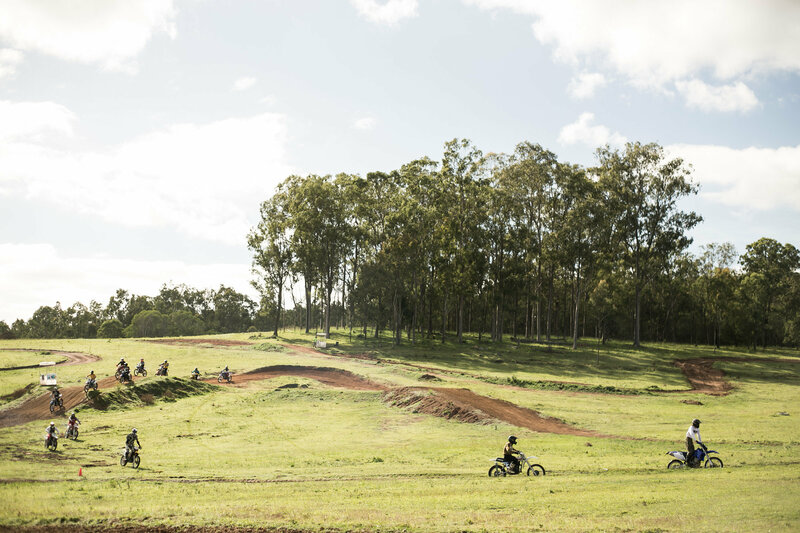 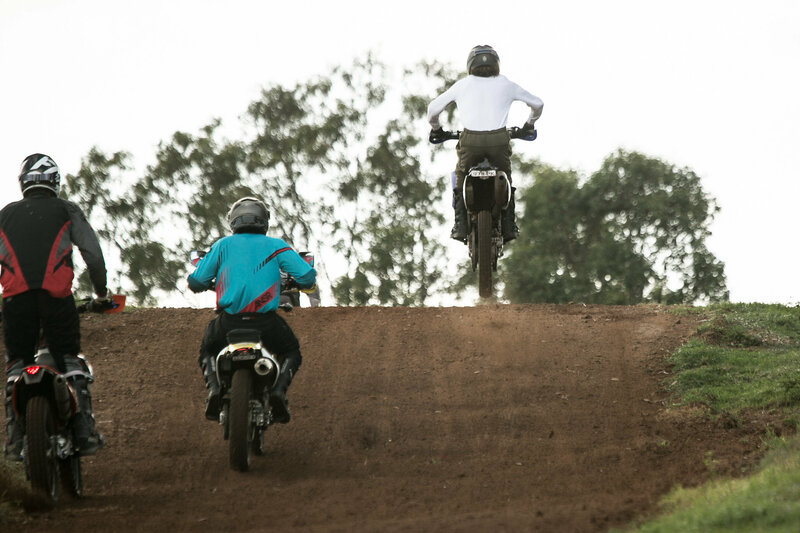 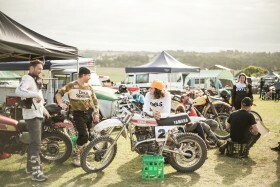 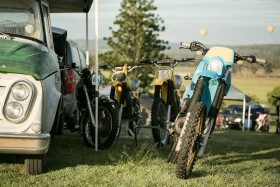 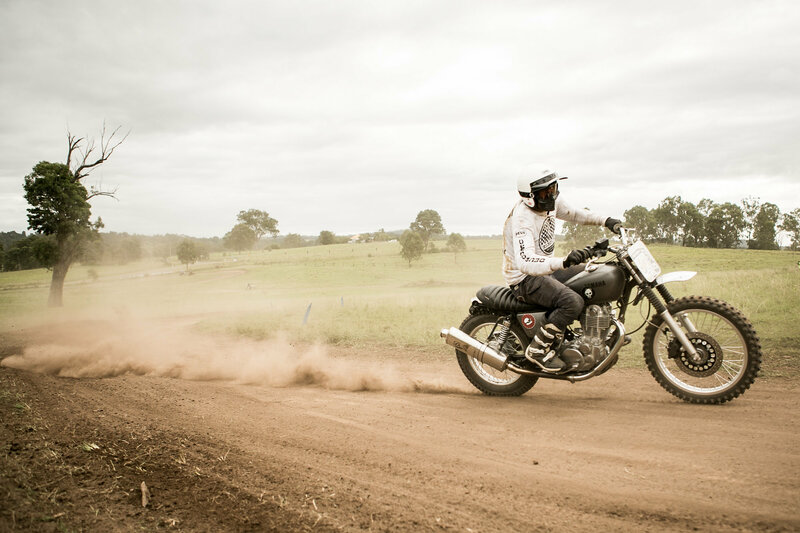 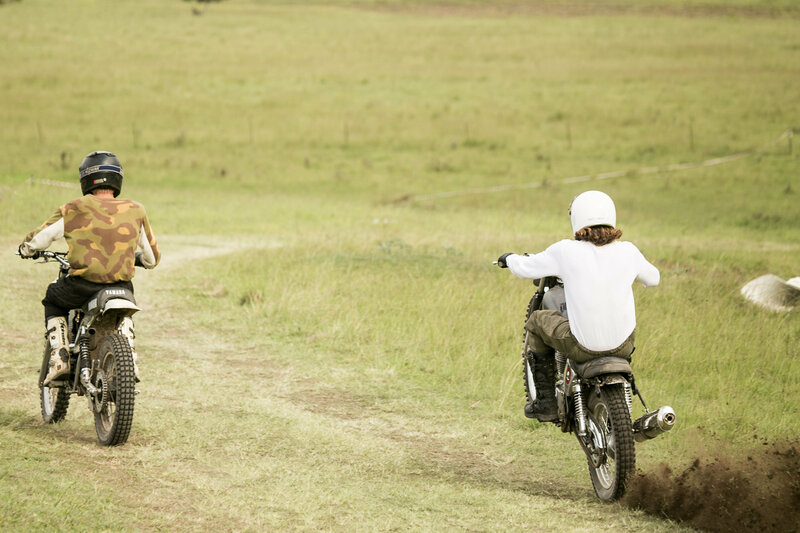 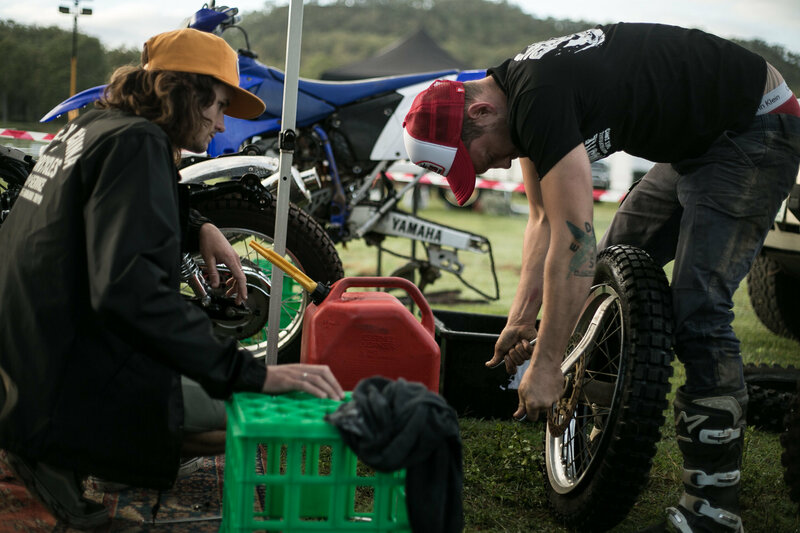 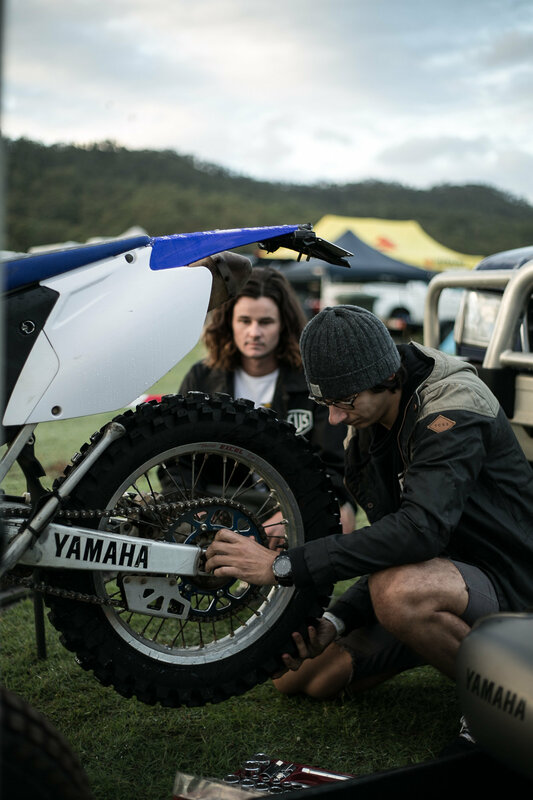 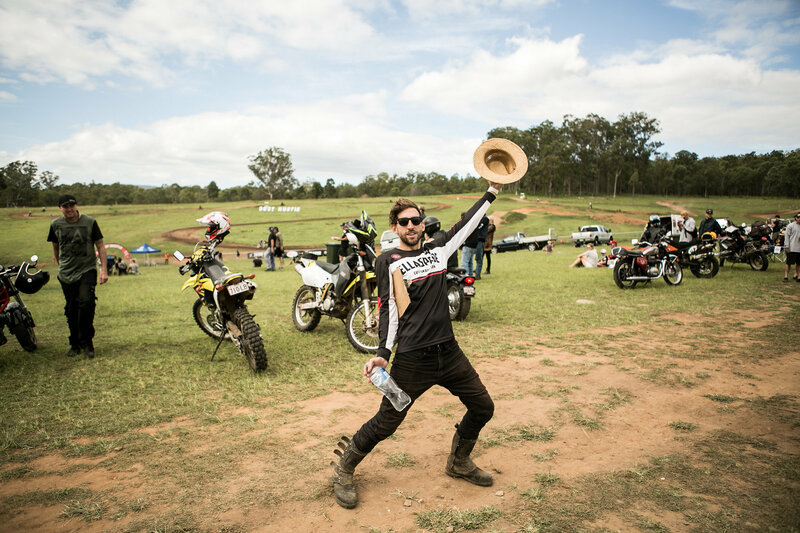 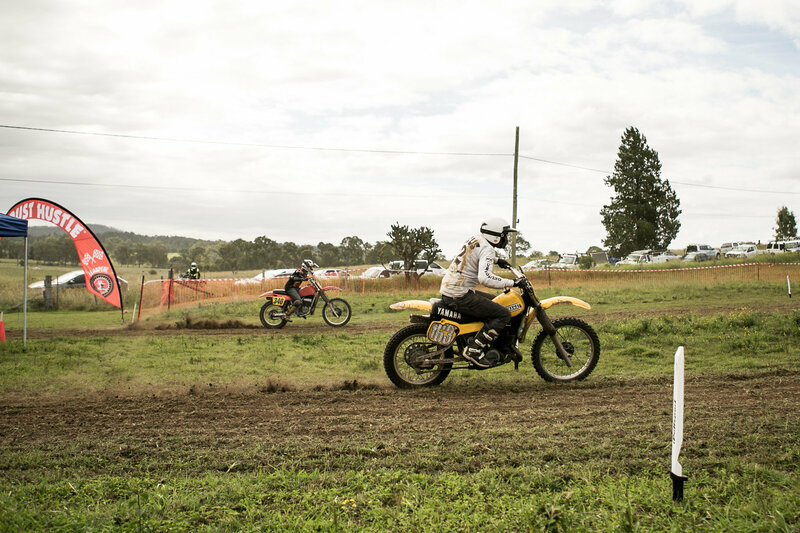 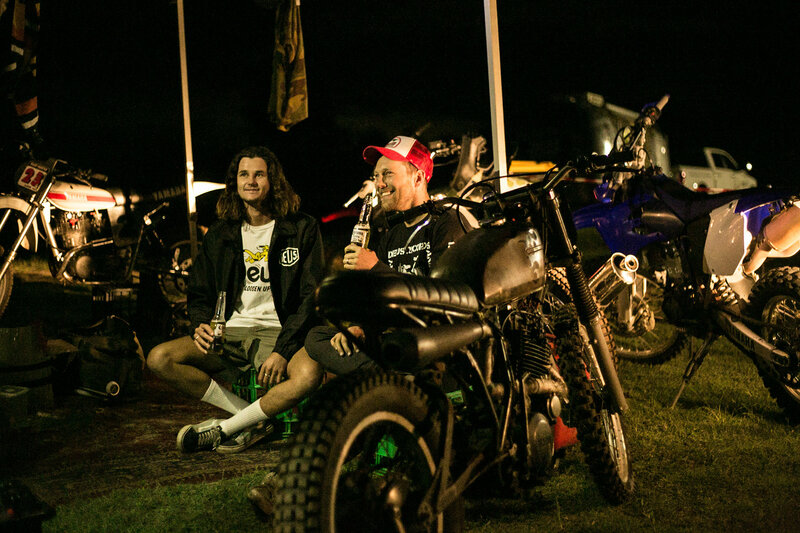 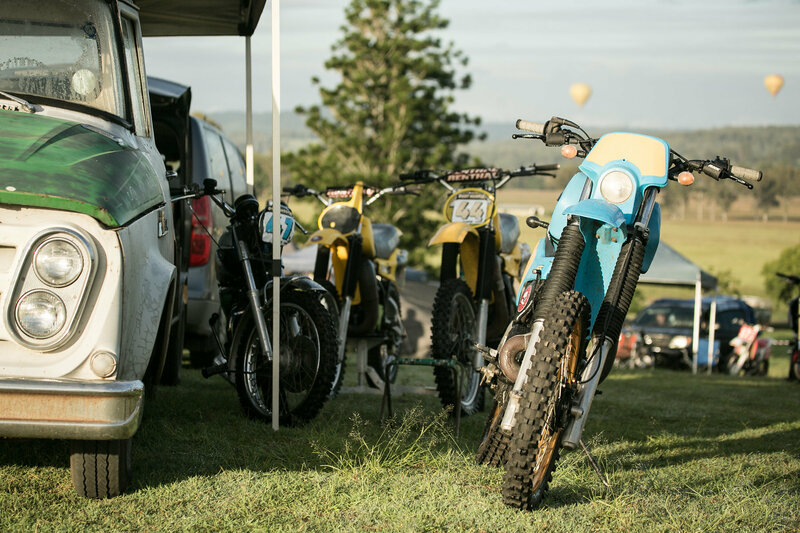 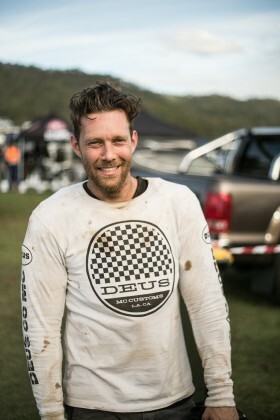 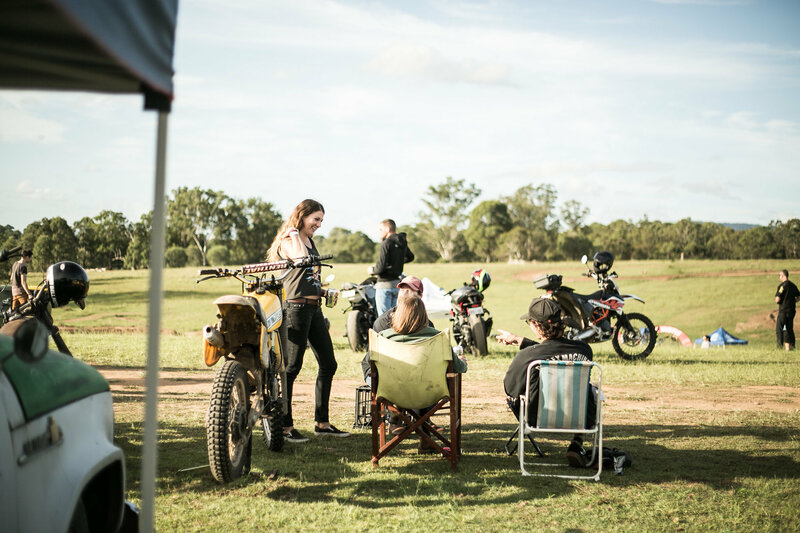 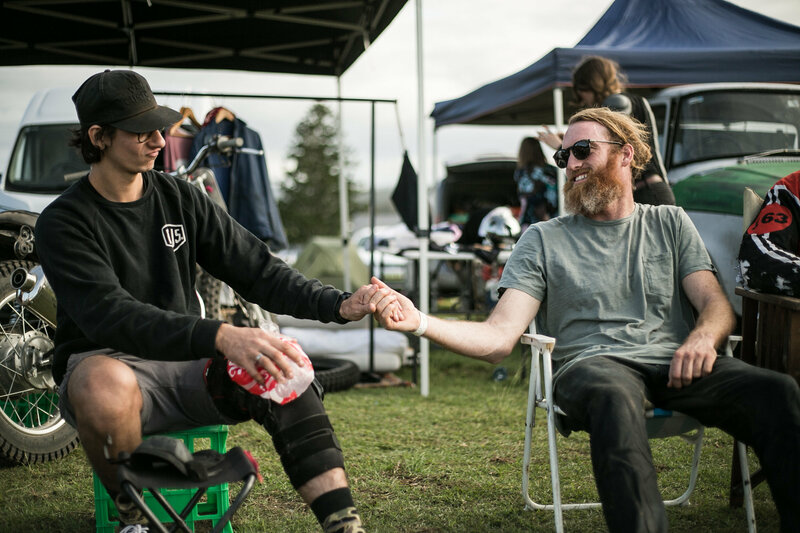 Three tuned in vintage dirt bikes belonging to the Deus crew, along with three brand new and freshly groomed dirt tracks and the Royalty of Dust Riding, ‘Toby Price’ himself kicked off ‘DUST HUSTLE’. 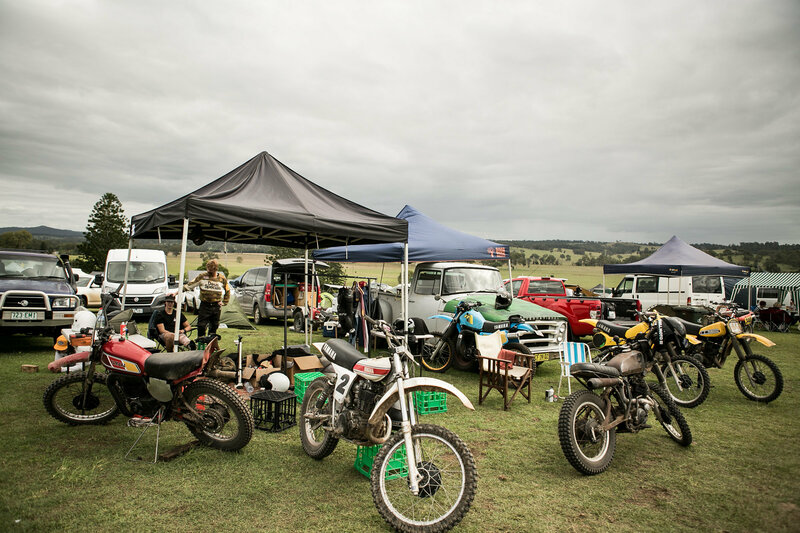 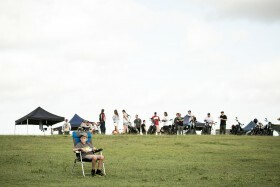 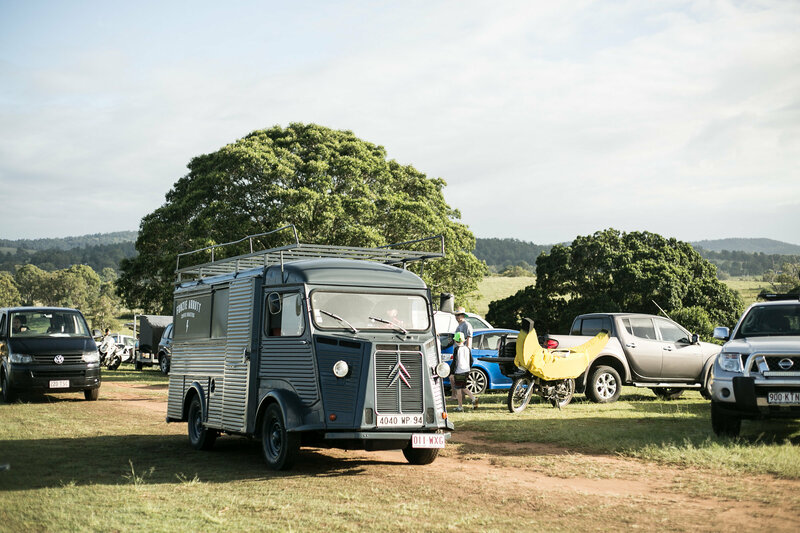 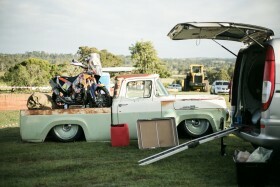 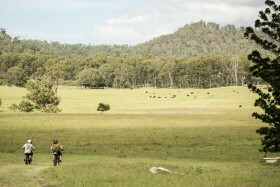 Add the beautiful countryside and approximately 200 + registered enthusiasts, the day was going to be chaos. 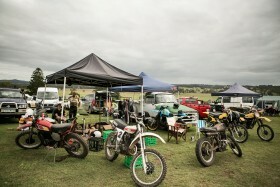 Organised chaos to be more specific. 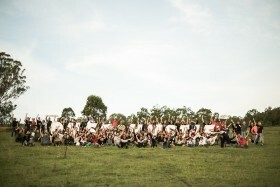 There is a heap of folk that helped make this trip possible for us before and during the event. 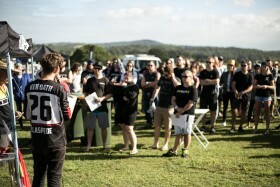 Thanks to Ellaspede for dreaming up such a wicked event and to Hughan in particularly for being the legend that he is. 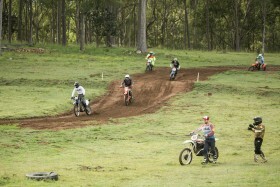 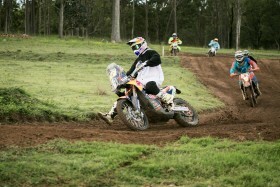 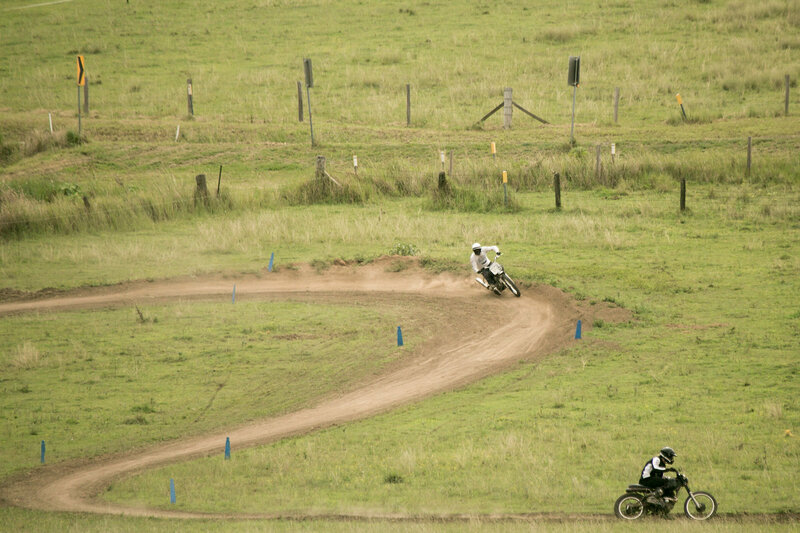 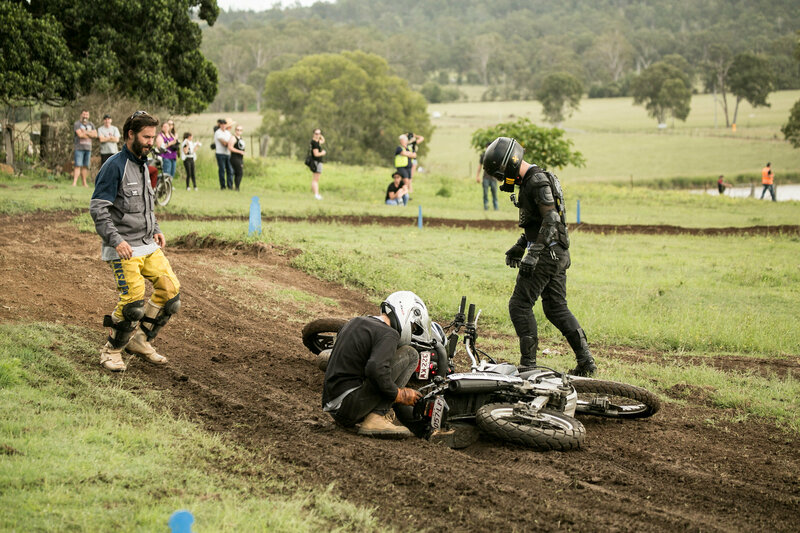 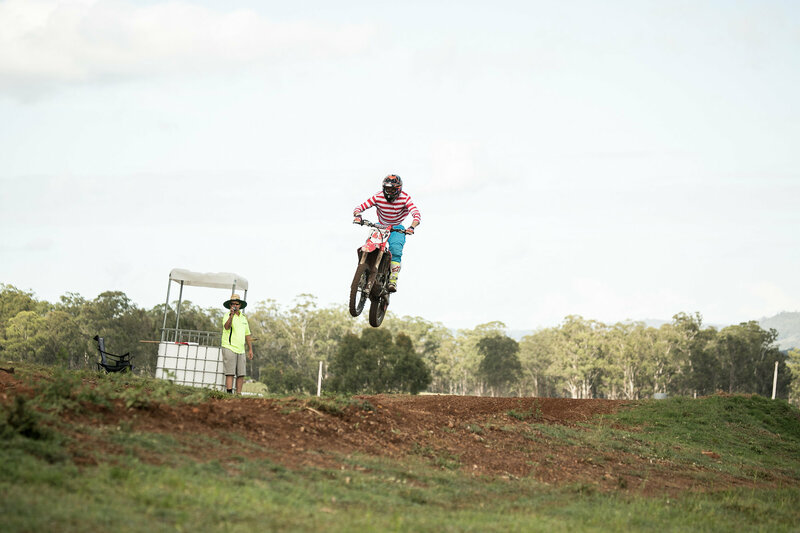 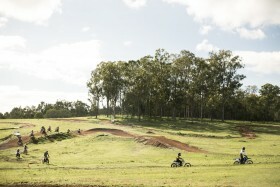 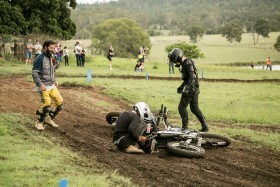 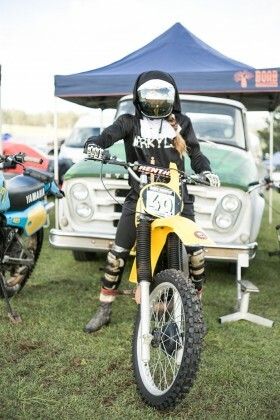 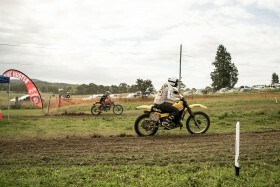 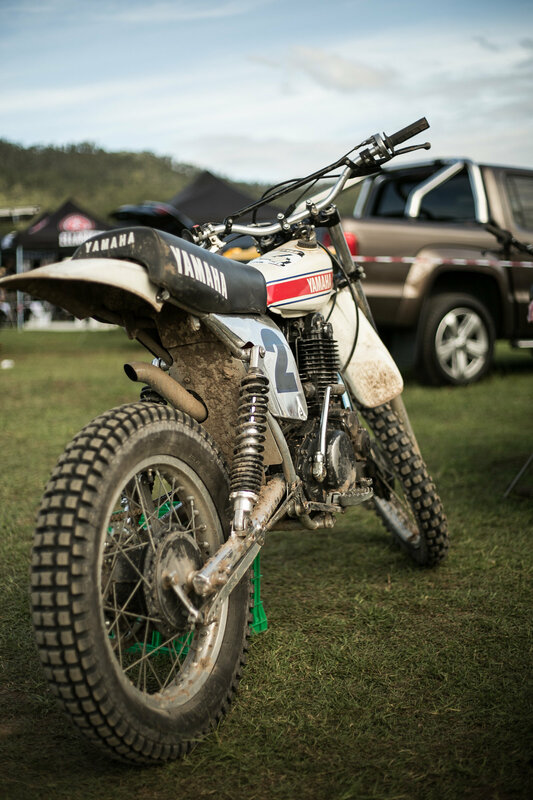 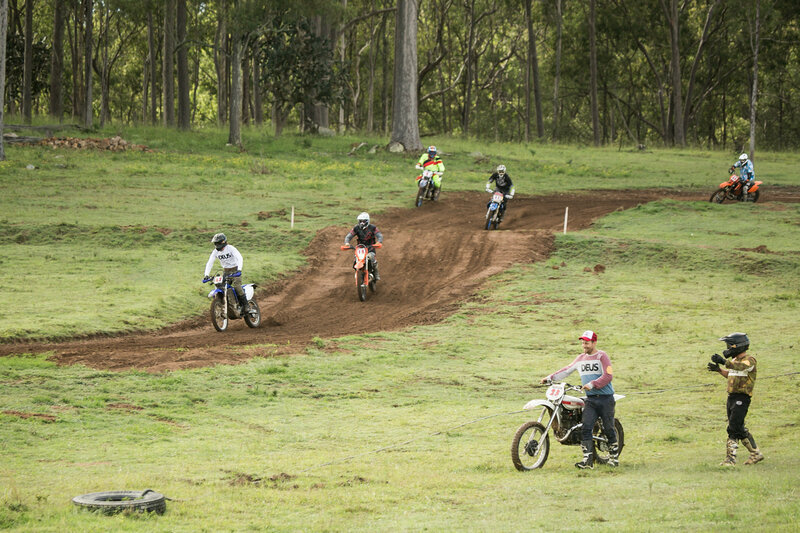 To Queensland Vintage Motocross who allowed us onto their land and who gave up their personal time to prepare the track in the coming weeks before the event. 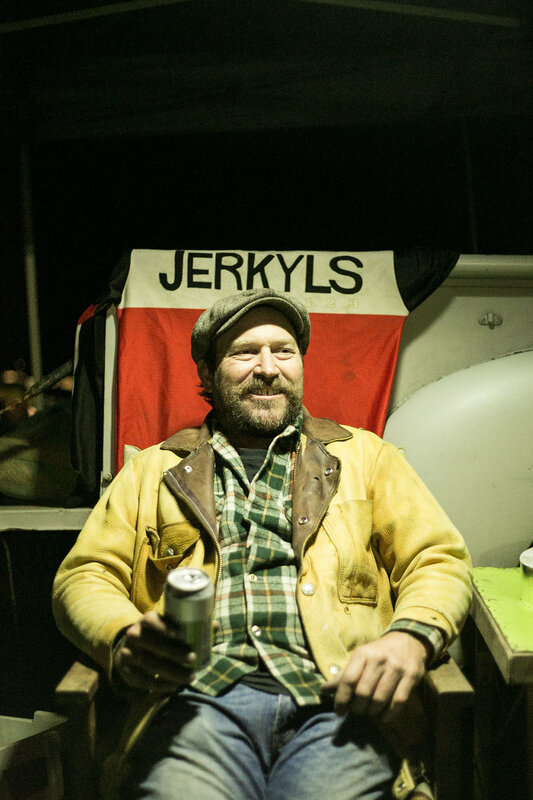 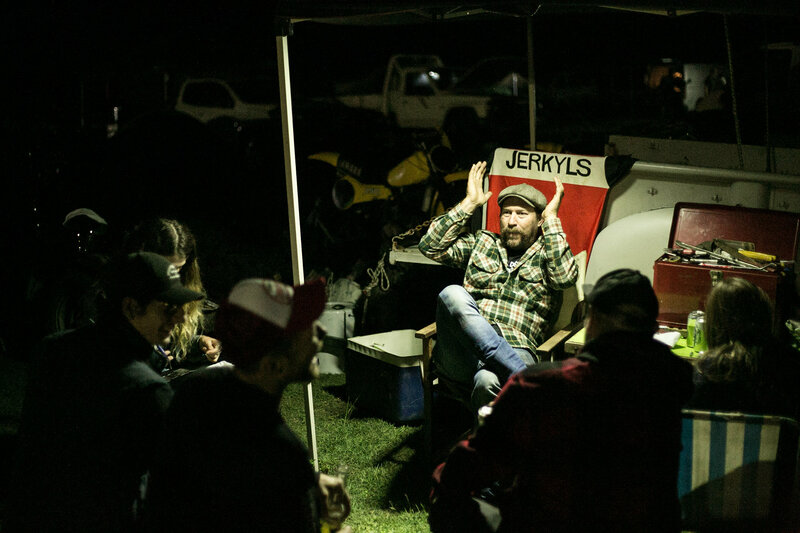 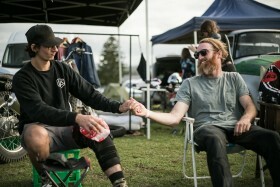 To The Jerkyls who made camping that whole lot better by setting up next to us and to Scruff for helping anyone that needed it left, right and center. To our friend Robbie Warden, photographer at large, from Together Management who managed to ride all day and snap such amazing shots. 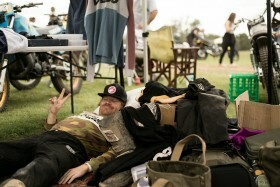 A true VIP. 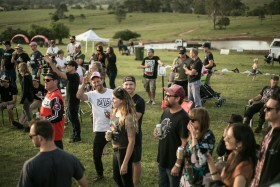 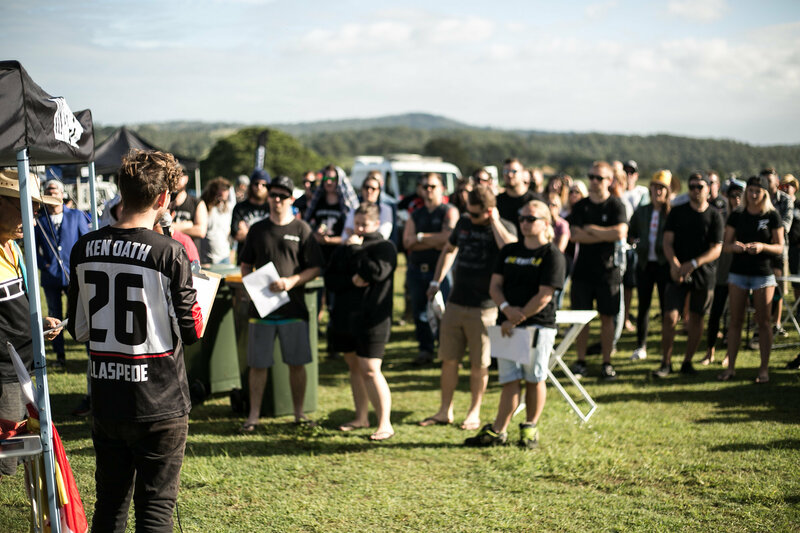 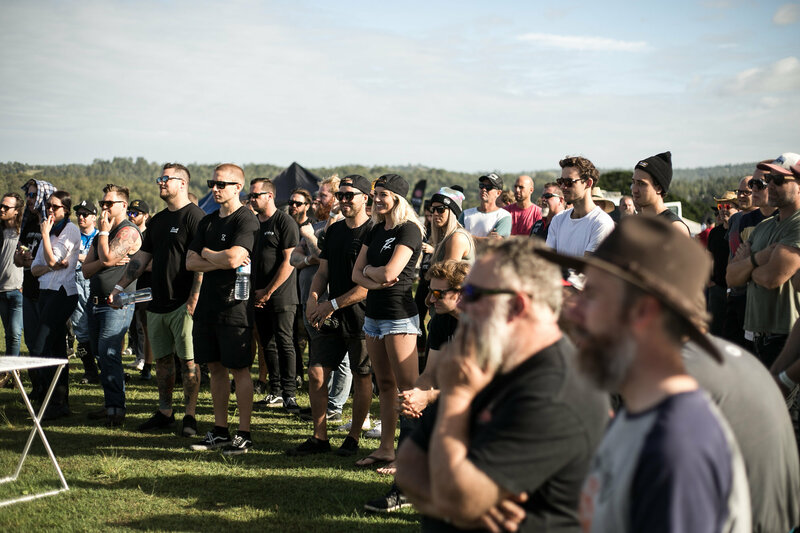 To the whole Deus team that helped organise this event from buying tickets, to preparing bikes, to helping team member Faidon after he crashed. 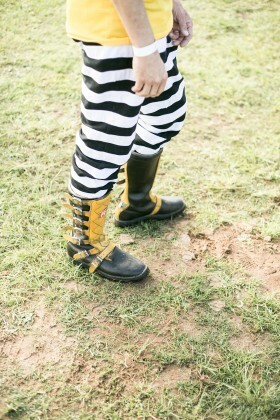 You know who you are. Thank you and see you all in November!